The Roadside Diner - For a real Jersey diner experience. For a real Jersey diner experience. 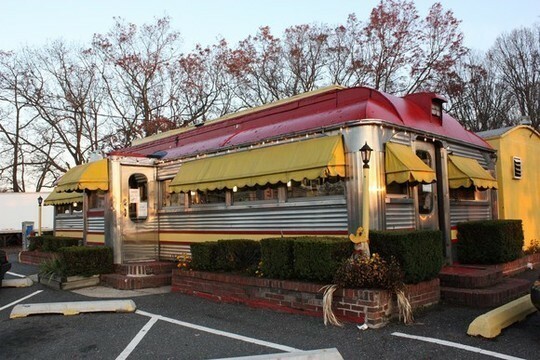 One of New Jersey's oldest diners serves up the ultimate diner experience every day, with amazing food, incredible prices & authentic vintage decor. Owner/chef Demetris "Jimmy" Gerakaris works hard to make sure that each customer has the best possible dining experience. From his popular generous burgers to his perfect tuna melt and delicious blueberry pancakes, the eats are great. Add to that an authentic old-style diner that was delivered to its Wall spot in the 1940s and is filled with original stools, booths and even a sliding train door - plus an A.M. radio that plays "oldies"- and this is the quintissential diner. Try what regulars have sworn by for decades.